Microsoft has been hauled over the coals in Finland regarding its infamous ‘Get Windows 10’ (GWX) app, which repeatedly prodded Windows 7 and Windows 8 users to upgrade to the new OS, with the software giant promising not to pull such a move again – and presumably, you would hope, that goes for outside the Scandinavian country, too. This happened thanks to the Finnish Competition and Consumer Authority (FCCA), which took Microsoft to task for installing the GWX app – which it established was a tool for direct marketing – without customer consent. And Microsoft has just settled with the Finnish watchdog, pledging that going forward in the country, it won’t install any apps on Windows PCs without the user’s explicit say-so. The FCCA also secured a victory in combating the various tricks Microsoft used with GWX, including tweaking the pop-up prompt to make it possible that folks might click to upgrade without realizing they were doing so. In the mentioned case, as MS Power User reports, the accusation was of using the ‘x’ button to signify an agreement to the OS update, rather than closing the window as would normally be expected. Microsoft agreed not to use any confusing user interface changes or tricks to try to push users down any particular path of the firm’s bidding in the future. It’s good to see the Finnish watchdog succeed in its battle against the software giant, and equally satisfying to see Microsoft admit its faults in the whole ‘upgrade to Windows 10’ campaign. And having made those admissions in Finland, one would expect, or at least hope, that Microsoft will stick to this policy elsewhere across the globe. More broadly, given all the negative feedback fired at the company over the whole GWX affair, it’s likely that Microsoft has very much learned its lesson anyway. 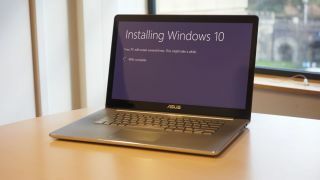 You might recall there was also a considerable fracas about pre-fetching the Windows 10 installation files without consent of users on Windows 7/8 PCs, something Microsoft promised won’t happen again thanks to a successful German legal action last summer. The long and short of it is, when it comes to pushing for software upgrades, we shouldn’t see any such dubious tactics from Microsoft again.